Teach children how to have God's Spirit growing in and through them! When you belong to Jesus, his Spirit lives in you. God gives you the power and ability to display his character traits of love, joy, peace, patience, kindness, goodness, faithfulness, gentleness, and self-control. Get our Fruit of the Spirit Bible curriculum for kids! Right click over picture, select copy, then paste to a graphics program to print it out onto white cardstock paper. Cut it out. Glue button pin to back. Write name on top. Permission is granted to print and wear. Do not change or alter the picture or text. The Fruit of the Spirit Spinner was created with the idea in mind that the nine parts of the Fruit of the Spirit make up one whole. 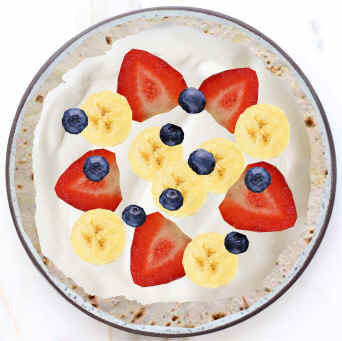 Even though there are nine different fruits, they are all presented on one spinner toy. 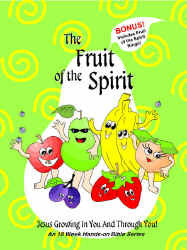 This helps children learn and memorize the different characteristics of the Fruit of the Spirit. The spinner is included when you purchase the Fruit of the Spirit, 18 week Bible curriculum.